Craigellachie Village hall is located in the centre of the village across from the primary school. 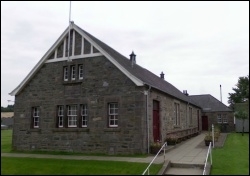 The local primary school also use the hall for serving their school lunches, gym and after school sports activities. We also have a Football Pitch in another location.